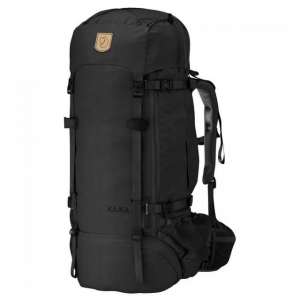 A solid (almost bomb-proof) hauler for mid-range trips for the hiker that is into something tunable. I picked mine up right after the model year rolled over and it went on clearance. in all i scored a fantastic pack that's gone to many places and done a LOT of very heavy hauling. The lumbar pack top makes for a nice 'going fishing' accessory, and is remarkably capacious for its apparent size. the waistbelt leaves a little to be desired but it gets the job done VERY nicely. the main compartment is summable in one word. enormous. the top opening is the same diameter as the compartment and it can swallow an impressive amount of gear, included very bulky gear. the sleeping bag area is nicely delineated without any of the fiddly bits to separate it. the compression straps work like a champ and there are plenty of them, giving you the ability to secure your load no matter what its size. the huge bladder pocket advertises as 3L capacity but will hold two 2L platys without any problem. it does bulge a little when you do that, however. the side pockets are impressive and sturdy. they're roomy enough to take a large tarp like a kelty noah, or even a smaller tent, if you're willing to stuff them carefully. pulling said tarp out resembles a magician pulling a scarf from his sleeve. be ready for some jokes to be made about that. the side pockets also nicely hold large-diameter isobutane cans and take .75L pot sets with room to spare. you could easily upgrade to a 1l pot and probably still fit it in the side pockets. OR you could stuff an ENO double-nest AND a pair of 25' straps and have a fair bit of room left for something like oh, a bugnet or a set of stakes. or maybe even both depending on how many stakes you use. the back pocket is interestingly laid-out, with a larger volume pocket with an internal net sleeve and a smaller padded pocket. it's roomy enough to put all your little fiddly bits into and then some. for me it carries flashlights, batteries, water purification stuff, pocketknife/multitool, a bundle of paracord, and other small bits and bobs that would be lost anywhere else, and has room left over for other stuff. the back pocket also features a vinyl-lined pocket with waterproof zipper for holding critical stuff that CANNOT get wet. money. valuables. ID. tinder. that sort of stuff. two mesh pockets on each side, under the side pockets round out your storage. a little awkward to get to if you carry a water bottle, without taking off the pack, but still really useful. the side pockets have tunnels that would allow you to stuff all kinds of long pole-like things. i've used them to hold camp-axes, tent poles, all sorts of stuff. overall, i dig on the pack. it does what it needs. the straps are heavy and comfortable. the pack needs a lot of fiddly tuning but it can be set with very fine resolution for a PERFECT fit. strapped in, it stays with you even with heavy loads. I love my Maverick! Thru-hiked the AT, the PCT and this year the CDT with it. It's a Triple Crowner. I'm sold on Mountainsmith. Has been a great mult-use bag for me. I don't have as much long hiking experience as I'd like. I bought this pack in 2006 for a few days on the AT. I love all the external pockets so everything has its place. I don't remember it ever being uncomfortable. I used it mainly for packing to Afghanistan as a contractor and R&R trips to places like Thailand. The only time I put a tent in it it was one too big for hiking. I would slide the poles in one side and the rest in the other. I like not having to pull anything out to set up my tent. Otherwise using it to travel to other countries was great as I could detach the top and have access to small things in the external pockets. About a decade of on and off use and it still looks good. I'm about 5'7'' at 130. Welcome to Trailspace, Amanda! Thanks for sharing a review of your pack with us. Do you have any pictures of your pack you could show others in your review? Solid pack. Though my model was discontinued, I was able to locate and purchase a new one on eBay. The multiple side compartments make gear access easy. My Maverick and I have many good miles ahead of us! Thanks, Mountainsmith! Max. Load Carried: I would like to carry 30 pounds on it, at max. I had 45 lbs in it once...bad idea! 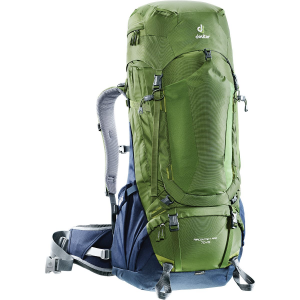 The Mountainsmith Maverick ~60L pack is a solid pack for the weekend warriors of the world! It encompasses the bare essentials for those living on a budget yet offers the space, watertightness, and comfort of a slightly more expensive and technical bag. That being said... based on my experience with this pack over 4 years, I would not push its capabilities beyond 3 or 4 days of backpacking. 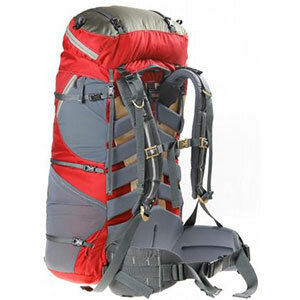 The internal frame is not built to carry food water and full loads with all the gear a week long trip might call for. It becomes VERY uncomfortable with loads exceeding 40 pounds and uncomfortable at 35 pounds. The internal frame is just not up to the challenge. It bends and contorts with the weight, digging into your upper, lower and mid back creating back sores after 2 miles of hiking. I give it a 4.5 star rating for weekend packing, and a 1.5 star for any trip lasting 5 days or more with the capabilities I pack into the out of doors. Oh and the poles that came with mine are pretty good. I used them for a few years before they broke. I really liked those poles, ok handles but good shock absorbing properties. Put many miles on them before I retired them to a friend. 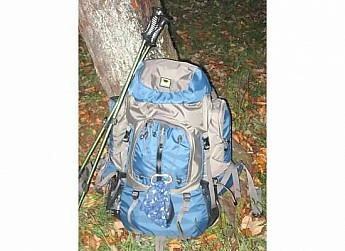 I got a good deal at Sierra Trading Post and love this pack. I used it first for a weekend climb up Mt Greylock with my 11 yo daughter. It carried everything we needed and then some for a weekend trip and has a convenient setup with the pockets. It took a bit to get it adjusted just right but one there it was very comfortable. I have used it 3 times since and still no complaints. I bought this pack about 2 years ago...it was my first backpacking pack. 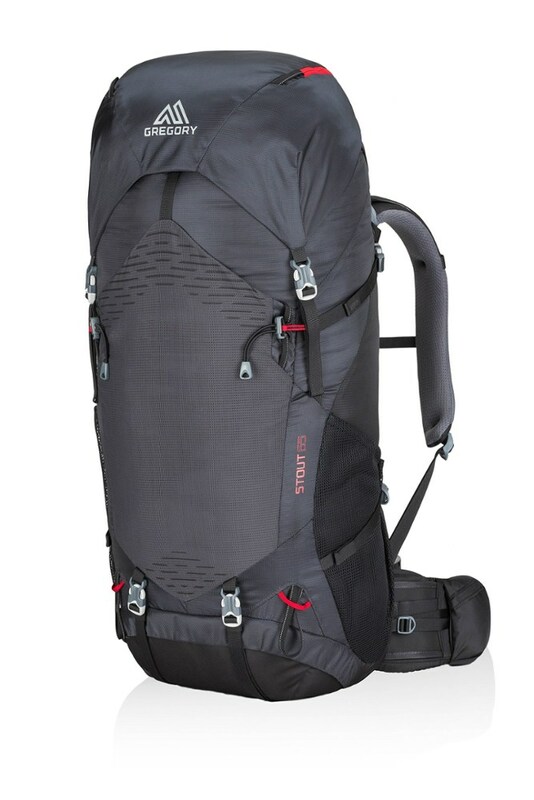 For the price, it is a wonderfully capable pack. I've used it mostly for overnighters into the Italian and Japanese backcountry. The construction is very good for the price. I've weathered torrential rain in the Italian Alps, and just last weekend, I packed through heavy snow in the Japanese Hakkoda mountains. On both trips, the outside of the pack felt drenched, but the gear inside remained dry. I've packed this bag to the rim and nothing has failed on it yet. My friend had the same pack and experienced the same. The fit is the only downfall for me. At 6'3", I have all of the adjustments maxed out in order to fit me. It leaves no room for comfort adjustments on the trail. Overall, it is a great pack for the money. Mine also came with a free set of Rhyolite 6061 trekking poles. I recently ordered a different type of pack, but only because I'm ready to spend more money on a lighter pack. This pack helped me experience backpacking with little investment and now I'll continue the hobby for life. I would recommend this pack to anyone who wants to check out the fascinating world of backpacking. I took this pack on several overnight trips and one 32-mile trek, that was enough for me to realize that I needed a new pack. The pack does not move with you, it hurt my shoulders, neck, back and hips, weight is not easily adjusted. 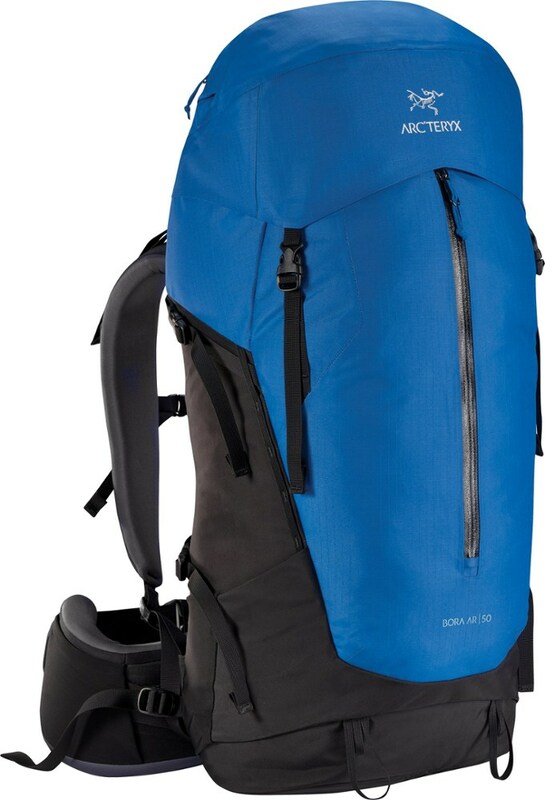 This pack has lots of features, but is not a comfortable pack for extended trips. I did like that the top detached to a lumbar pack. Took the Maverick out on a weekend outing during a horrid rainstorm in the Clifty Wilderness in Kentucky. I would have given the pack a 5 out of 5 except for there was a very little dampness that was on the inside of the pack. Now granted, I did not use a waterproof pack cover and we had some of the worst rain Kentucky can have. All in all, it did a great job of keeping the interior from getting soaked. 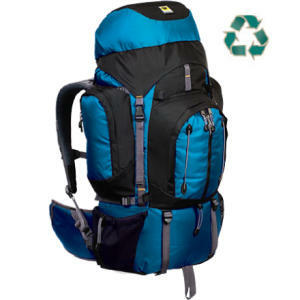 As for the bag, a strong foam back support keeps your backside feeling nice while easily packing 50 pounds in the bag. There is space for everything you need for 4-5 days of camping. Pockets on the sides are perfect for items you need quickly like your water filter and snacks. It has a waterproof compartment in the top that is for maps and all the zippers are self sealing. Plenty of room for 32oz Nalgene bottles. For the price of around $100 there's not many bags that can compare. It is really a great pack that keeps with the Mountainsmith name. If I was buying a pack of this size again (3930 cu. in. ), I would buy this pack. The pack itself weighs in at only 4lbs. 5oz. and comes in an LT size which is the pack I have, I'm 6 feet. My wife got the MT size and she is 5'2". Oh and it has room for a 3 liter hydration system with dual exit ports for the tubes. Trekking pole mounts. Safety whistle and a detachable lid that converts to a lumbar pack. The Maverick has been discontinued. The Mountainsmith Maverick is not available from the stores we monitor. It was last seen February 4, 2016	at SunnySports.